Can you feel the intensity YET, Vancouver? End to end action, both teams kept their fans on the edges of their seats. Game one was a mere thirty seconds away from OT and suddenly the Flames had stolen the lead and the game. Well played, Calgary…well played. Calgary leads the series 1-0. This is the post-season and there is no time to dwell on the end of game one as the focus is now on GAME 2. In the playoffs, you have to have a short memory because momentum can change so quickly from game to game. The Canucks have a MASSIVE opportunity to get right back in this series with a WIN tonight on home ice before hitting the road for games 3 and 4. The Canucks need play a solid 60 minutes from puck drop to final buzzer. If you are attending the game, I am beyond jealous of you right now BUT mostly I want to be able to hear you LOUD and clear in the stands while I’m watching the game at home. Channel your inner Roger Neilson and get those towels moving! Here’s to another exciting game in this latest chapter of a rivalry renewed. The series is far from over and I have a feeling it’s only about to get MORE intense as it progresses! Get LOUD tonight, Canucks nation! GO CANUCKS GO!!! 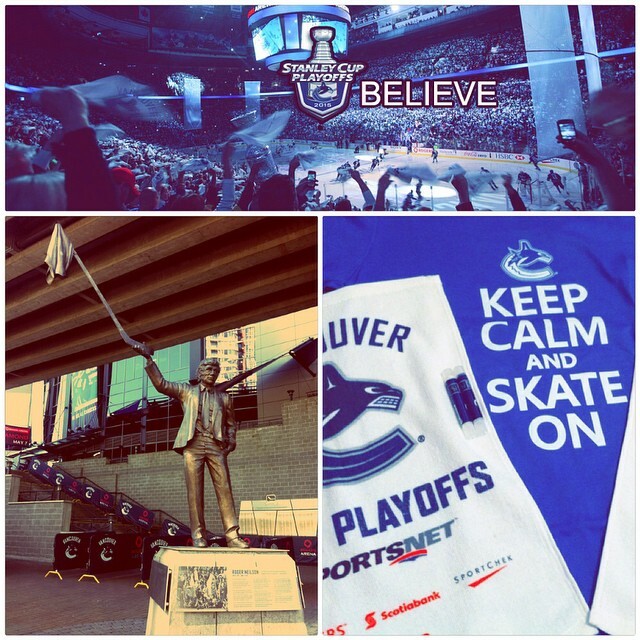 This entry was posted in Vancouver Canucks and tagged 2015 Playoffs, 2015 Quarterfinals, Calgary, Game 2, hockey, NHL, Vancouver Canucks by sarahlaug. Bookmark the permalink.